April 7, 2014 By Tina M 77 Comments This post may contain affiliate links. Read my disclosure policy here. *TIP For Hotels: We have now been to Southern California over 10 times. My best deals have always come from Get Away Today’s Hotel Specials (you can often get a night free or other perks), Or booking a vacation rental here. Before you book, always read hotel reviews. You can see all the hotels near Disneyland ranked here, or just check out our Disneyland Hotels Guide. It’s official! We are going to Disneyland next month! I am so thrilled. We wouldn’t have decided to go, except that we saw a deal on Plum District for a Disney vacation voucher through One Stop Travel. Being the suckers that we are, we bought one. To make a long story short, the process of trying to use our voucher was nothing short of a nightmare. Unfortunately what sounded too good to be true actually was and it was far from a good deal. After almost deciding to give up on our vacation, I did some research on Getaway Today and couldn’t find anyone that had experienced anything other than bliss. My sister-in-law used them last year and also had a good experience. So I decided to give Get Away Today a chance before I completely gave up on our Disney dreams. It has been night and day difference! They have been so helpful and so enjoyable to work with. I was so impressed with their customer service that I asked if I could be an affiliate and get a coupon code for my readers. Use code MOTHERSNICHE for $10 off (and use that $10 to buy some food at the park instead)! Since I have to do tons of research anyway to get ready for our trip, I thought I would do a Disney Travel series on the blog. Everything from good tips, to free printables, to fun ideas for the kids! I will do at least one post a week until we leave, and then several posts when we get back. I hope you will follow along! 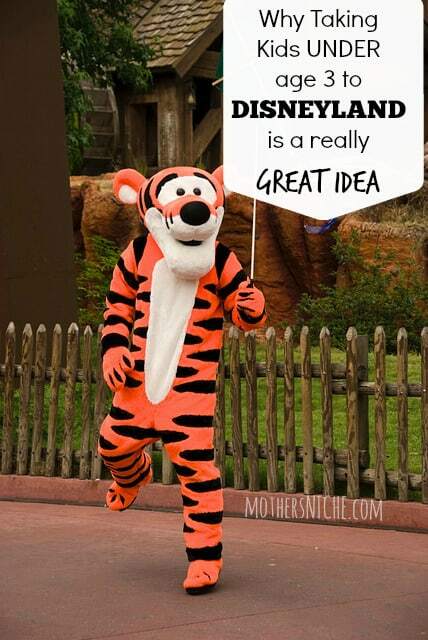 And all you Disneyland fanatics out there (you know who you are), I would love to hear some of your best tips as well! All tips are via word-of-mouth and are subject to change. Ask the photopass photographers to take a picture for you with your own camera! They are happy to do so and they do it all day so they are experienced. Most food service counters will give you free ice waters upon request. Get a free sample of warm bread from the Bakery Tour store in California Adventure! Visit Ghirardelli Soda Fountain & Chocolate Shop (Pacific Wharf Area), for a free chocolate sample. If you are visiting Disney for the first time, or for a special occasion (birthday, anniversary, whatever..), stop by Guest Relations for a free souvenir Button! If your balloon pops, or your kid drops their ice cream cone, or your souvenir breaks, ask one of the vendors for a replacement. I have heard they are always happy to do so. Take a picture of the back of your tickets in case you lose them! Ice Cream Shop on Main Street: Buy the biggest size of waffle cone and purchase additional sugar cones (without ice cream). Scoop ice cream from the large cone into the smaller ones. Don’t purchase tickets right at the ticket booth…not only do you waste time and money, but you don’t get magic morning entries this way! Decide what meal(s) you want to eat in the park and pack the rest of your food in a soft cooler. You can rent a locker in the picnic area and still save a lot more money than buying all of your meals in the park. I’ve heard that at the end of the Jungle Cruise you can ask for a free map as a souvenir! For nursing mothers (or moms with young kids): There is a Baby Care Center at the end of Main Street next to the Little Red Wagon corn dog cart. It has a dark room with rocking chairs, sanitized high chairs, changing stations, and mini potty chairs. Nurses Station: For Disneyland, it is at the end of Main Street before Plaza Inn, for C.A., it’s next to Guest Relations on Buena Vista Street. 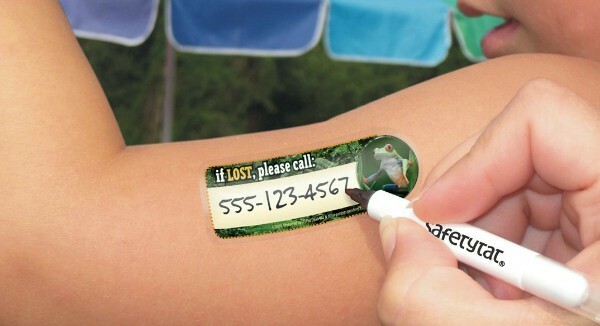 Be sure to put ID bands or Safety tattoos on your kids so that someone can contact you if they get lost. If you ever have to pick between two lines, the right is usually a shorter wait. I’ve heard that there is a family bathroom over by Carnation Plaza that is sort of hidden (minimal waiting time). You can enter the park 30 min before it opens. Use this time to walk Main Street! Fantasyland is usually least busy 1st thing in the morning or after fireworks. Part of the reason we hadn’t considered a Disneyland trip before we saw the deal for the voucher was because our kids are little (they will be ages 1 and 2 when we go). I figured we would spend all of our time in the little kid area and that it wouldn’t be that much fun. I had NO IDEA there was something called Rider Swap! Free Park Entrance. Disney tickets can be expensive; however, if you take on of your children before they are 3 years old they are FREE! We were thrilled to hear this because both of our children will be free. Free Food. Another thing that can add up fast is food at Disneyland. Children under 3 are free at Disney buffets and family-style table service restaurants. *of course, if your kids aren’t very good travelers (or they HAVE to be in their crib for naptimes), the benefits may not be as convincing. For us they are! If you would also like to book through Getaway Today, I highly recommend them for smooth travel plans! They are so experienced with sending families to Disneyland and they can get you some great deals! Get Away Today found me a great deal for the #1-rated hotel in Anaheim for much cheaper than anything I could find. They had a promotion for 1 free night after booking 2 nights, and since we are going for 6 nights we got 2 of our nights FREE! Use Code “MOTHERSNICHE” for $10 off of your travel package. You can Use Getaway Today to purchase entire vacation packages, or you can book hotels and tickets separately. What are YOUR favorite Disney Tips? SO jealous! I love Disney. The tip about the photographer is such a good one. All you have to do is ask! GREAT ideas! I love the tattoo! 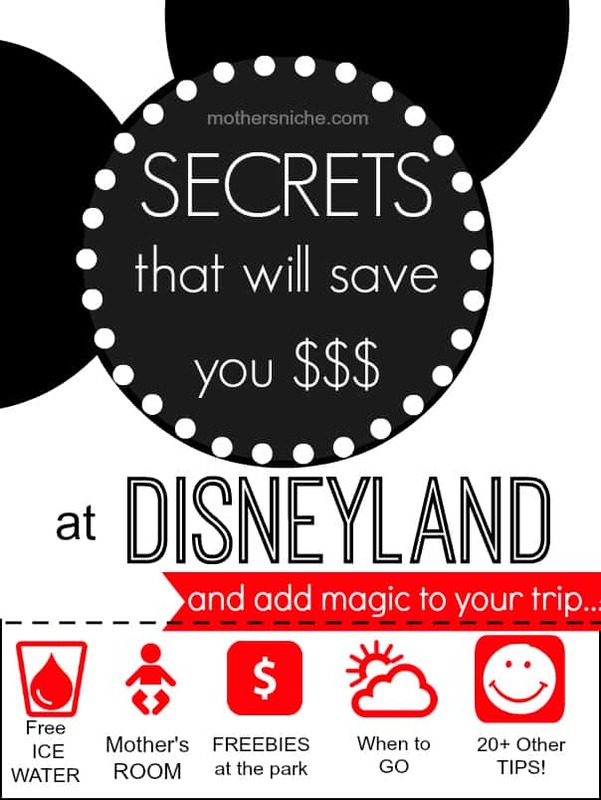 Totally adding this to my round-up of Disneyland tips! Get the “Un-official Disney Guide”. Best. Book. Ever!!!!! Oh man, that stinks! I am SO glad you found something that could help you get on that vacation! I just love this post, so detailed and great tips! I hope we can make it out there soon too. This will really come in handy! I LOVE Disney, though we usually go to Disney World. I’m going to try to take my son for his first visit before he turns 3! Great ideas! Thanks for all the wonderful tips and tricks, I had never heard of the rider swap! I love the band-aids idea! I’ve never heard of that before–thanks for sharing! So fun you wil love it! And I love the band-aid idea!!! Clver! Can’t wait to have a trip to Disney one day!! Tina we got the deal from Plum District from One Stop Travel. What kind of issues did you have? We’re going next month and just wanted to know ahead of time? Jana, have you already redeemed the voucher and paid for your trip details? All good tips! We have been using them for years 🙂 Our DD’s first trip was 3mths and she was still able to ride a decent amount of rides and the rest of the time we ride switched. You are right, couple them with FP’s and you never have to wait in a line. The Mother areas are fabulous, take advantage… even if munchkins just needs a 10 minute decompression! It helps! We never had to go back to the hotel, DD was a killer sleeper and would crash out in the stroller until the day she outgrew them. Word of advice on strollers. DO NOT use a little umbrella system if you can avoid it. Take the big travel stroller, it may seem like a burden but that is your child’s “safe place” and when they get overwhelmed I guarantee they will ASK to go in, maybe even ask to lay down, and probably crash. (Comfortabley) we take for granted that their personal and familiar space is somethimes all they need to decompress or regulate their overwhelmed feelings. Disney Visa, Vacation Club, annual pass, or AAA members get 10-20% discounts at almost ALL food places. Take advantage! Thanks for your comment Tina! You are getting me so excited! And thanks for the tip on the stroller! I have been trying to figure out what to take! Great tips! We’ve been going to Disneyland for years. I much prefer it over Disney World. I love that the 2 parks are right across from each other, so you don’t have to waste time waiting for the monorail or a bus to get the next park. We are going to Disneyland this fall . Thank you so much for all the wonderful tips!!! Take the train to the back of the park first thing in the morning since most people walk from the front to the back. That way you can meet the princesses with hardly any line. Also try to meet the fairies early on as that line gets extremely long, too. We’ve been twice, both times in late November/early December. There are hardly any people there but the park is decorated for Christmas and the decorations are absolutely stunning!! The princesses are no longer in the back of the park by Toon Town. They have moved to the Princess Fantasy Faire in front of and to the left of the castle. The only exceptions would be that Merida is usually over by Small World and Anna & Elsa have been in Fantasyland by the Pinocchio ride (if you’re willing to wait 2-3 hours to see them). Such fun tips! We are going to Disney World in May and can’t wait! I love these tips! We are due for a trip to Disney soon so I will be needing these! I looked at those plum district vouchers too! How did you get around the hotel price? Didn’t you end up paying more with that and with getting hotels through another source? Ann, avoid the Plum District vouchers at all cost! We bought 2 of them and ended up not being able to use them because the company is a joke! They charge you so much more than they say in the promotion and their customer service is the worst I have ever encountered! There’s another Plum District deal and wanted your feedback. Glad I scrolled through the comments. So it IS too good to be true. Going to Disneyland in August though nothing is booked yet, I’m glad I didn’t get excited and book Plum District deal. Will find other routes. Thanks! I would stay away from any travel or vacation deal trough Plum District. Huge rip off and businesses that don’t follow through with what they offered. I know what too many people that are out several hundred dollars and there’s nothing they can do to get their money back! Did you get the DisneyLand deal with air tickets or the one with just the hotel and 4 DisneyLand tickets. Was the voucher for hotel that you were having trouble using with? Please let us know. Hi Bill. I bought the voucher for the hotel + airfare….but the problem wasn’t with the specific deal, it was with the company in general. I don’t know how they get away with it, but they charge way more than they say they will and they are horrible at calling back. They also don’t tell you that there has to be an adult for every room, and they are unable to get you joining rooms for your kids. Their while system of doing business is just a big mess. Best $$ saving tip I know is to buy a case of bottled water and bring a few to the parks each day to stay hydrated. Saves tons of money and avoids drinking the tap water, which is, uh, well it’s just gross. We just get hot water for free that is used for coffee and put it in a big free cup of ice water! The hot water is purified and FREE FREE FREE! Some good places are Rancho de Zocalo, Pizza Port, and the Plaza Inn. Anywhere you can get refills at yourself. My husband and I share our meals in the park. The portions are generous and if we want to “try” something else or new it isn’t quite so expensive that way. We also feel that then we can splurge on ice cream or sweet treats at the candy shop. I’ve been planning our upcoming Disneyland vacation and I’m seriously considering using the Von’s grocery delivery service to have some essentials delivered to our hotel. On our last trip, it was hard finding something easy to eat for a snack or quick breakfast, (believe it or not- I couldn’t eat endless churros!) and I think we spent most of our food budget on 3.00 bottles of Dasani! We have done the groceries delivered to our hotel room twice. Best way to do it! Free if it’s your first delivery or first in a while. Then we have breakfast in the room and pack peanut butter and jelly for lunch. Saved a ton! Great tips! We are leaving on Saturday! Get the kids personalized Disney gear ahead of time instead of buying in the park. Miss Morgans Designs have a ton of cute personalized iron-ons. You nailed it with the great tips. I have two little girls 2 and 4. I love the ride swap, can’t wait to try it, as you’re right I only stayed in fantasyland and didn’t know the swap exists. Highly recommend the soundsational parade the little ones love it, depending on the day usually starts around dinner time, the best place to seat is at main street or the pathway before entering “It’s a small world” plus its a great time to seat and take a break. #1-Disneyland has the best corndogs in the world!! Most people don’t know that you don’t have to get the entire meal which is over $8 for corndog, fries/chips/apple slices, and a drink. I always get it a la carte and pay less than $5 for my ginormous corndog. #2- Check your receipts! Some of them will have a 20% off coupon that you can use on merchandise at select stores! #3- Wait for the first showing of Fantasmic to end and get a great spot at the front of ROA for the second show. You won’t have to wait too long for it to start! #4- tired of just water? Take crystal light or something like that to add to your FREE water for drinks. Just so you aren’t surprised…Magic Morning/Early Entry is only available to guests staying on resort properties. You must be staying at the Grand Californian, Disneyland Hotel or Paradise Pier Hotel, purchase your tickets in advance of gong to the park (you can do this at Guest Services in each hotel) and show your room key with your ticket when you enter the parks for MM/EE. Also, although my kids are way past stroller age, there is a wonderful stroller rental company that many of my friends have used and highly recommend. It is called City Stroller Rentals. They deliver directly to your hotel and the strollers are, apparently, much higher quality than what you can either bring with you or rent at the parks. I don’t have any affiliation with the company, just personal recommendations from friends. If you purchase a park hopper ticket that is 3 days or more you CAN get an early entry on ONE day into the main Disneyland park. We are going to Disneyland the second week in May! Thanks for the tips. Hello – I’m an annual passholder & have friends who are cast members (so, I’ve been there A LOT lol). You seem to have covered most of the good tips! You can get a free recipe card at the Dole Whip cart. The Dole Whip cart has 2 sides – one in the main walkway to Adventureland and one inside the Enchanted Tiki Room waiting area (this is where the recipe card is). Also, at California Adventure, they have a free “newspaper” called The Buena Vista Bugle. There’s usually a stack of them inside the Starbucks on a counter and sometimes inside guest relations – after you walk into the park there’s Oswald’s Gas station (I think that’s what it’s called – my mind is failing me right now) and it’s tucked away to the left, right after the gas station. The newspapers are to the left of walking in the door in a stand, but every once in awhile, they’re not there. You can also bring in your own bottled water and then fill them up at the water fountains that are throughout the park. 1. I always bring a stroller with enough room to hold a small ice chest. 5. We bring our own bottles of soda in our ice chest & ask for cups of ice when needed. 6. We bring water bottles and refill or add look aide singles to give variety. 8. We will send one family member with all passes to get fast passes when the rest of the family is in line for another ride. Saves time. Awesome Sara! Thanks! I will have to try one of the Mickey Heads! We LOVE GetAwayToday! We booked our last Disney vacation through them and got a 4th day free at the park because of a promotion they had going on at the time. And we got a great deal on a hotel right across the street from the park! The first time we went our kids were 2 and almost 1. We had a blast! We took our own stroller and inclined the seats back when they napped, so we didn’t have to leave the park. It is amazing how many rides little kids that age can go on. We definitely took advantage of the rider-switch passes. Best thing I ever did. Rent a scooter. My mom has foot surgery so we rented one buy we are getting one from now on. You zoom past people and at midnight walking to your hotel it’s amazing to just zoom past angry parents dragging their kids. Plus it’s just fun and not that expensive and can deliver to your hotel. Note it’s not a disney rental thing have to find one outside of disney. These are great tips! 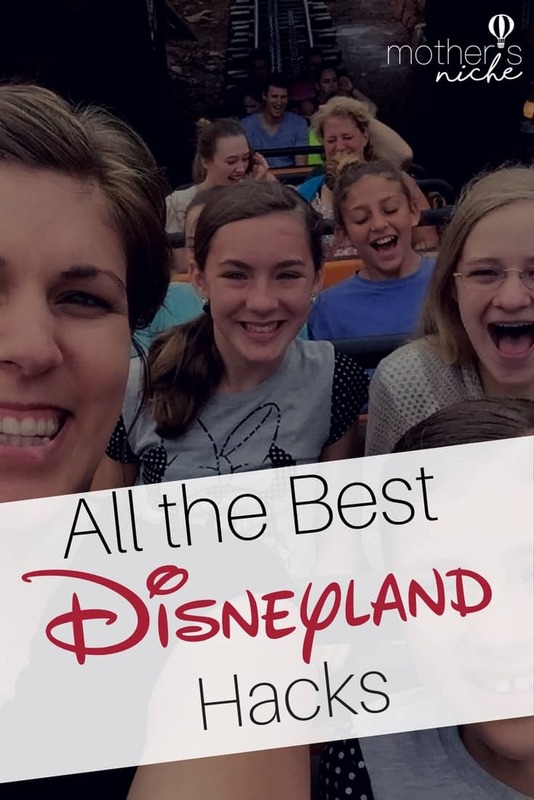 As a So Cal resident, Annual pass holder, owner of 14 vacation rentals within a mile of Disneyland, and mother of 3 – there are still things I learned from this post. Thank you! Jessica, do you have minimums on your rentals? Looking for just one or two nights this October! You can bring in outside food!! We packed a lunchbox in a backpack, stopped at Safeway on the way in for deli sandwiches ($5 each or $8 for a double portion), and had enough food to last us ALL day with leftovers! Saved time not having to stand in the food lines and we spent less than $20 for food all day. The rider switch pass is AMAZING! We are season passholders and if someone in the group gets a fast past we get on and off the rides so quickly! I use PortaPocket to keep my ID, cash, cards, hotel key and cell phone ON my body for safety and convenience. It’s super easy to navigate any ride or attraction without worrying about my valuables. I’d never leave them in a purse or bag….too much risk. I just WEAR what I need instead. It’s cake! I ALWAYS book through Getwawaytoday!! They are amazing. First it includes your tickets and hotel room, AND even more importantly- it basically waives any ‘parking fees’ your hotel will normally charge. I would NEVER try to book a trip on my own. AND if you have season passes already- you can get just y0ur hotel through them- and they do Hawaii, SF etc etc…..
we are taking our 16 year old twins on wednesday- I have arranged early finals with the promise to take their electronics away tuesday night so they cant tell others what is on the final. The twins have NO idea….. we chose that week over christmas week because 1: adults get in at kids prices and 2: the week of christmas will be PACKED, prices double if not go higher and availability is ridiculous. OH….. I almost forgot…. if you do rent a wheelchair/scooter or whatever- try to use cash. That way at the end of the night you get your deposit back in cash to use for your deposit for the next day instead of having just another hold on your credit card. Great tips. I will be sure to make note of all of these for our trip. 🙂 Thanks for sharing. What is the Band-Aid tip? I went back through the post, and even used the search function, but I can’t find the original tip. Hi Tina, do you have a current promo code for getaway today.com? It only works on Disneyland packages of 2 nights or longer. Are you buying tickets + hotel? Or just tickets?